Wow, Autumn has really begun here in the UK. Today was freezing, windy & rainy….not good! I am definitely a Summer lovin’ girl but I do have some fondness of Autumn. I love the changing colour of the leaves, there is nothing like taking a walk through the park with the sound of crunchy leaves underfoot. Chris & I sometimes like to take a Sunday stroll through our local park & stop by the cute little café high in the tree tops for a hot latte & cupcake. I love the deep coloured clothing that adorns every rack in fashion shops. I love Halloween! It is my favourite celebration. I also love snuggling down watching a movie & lighting some nice fragrant candles. I love the smell of cinnamon which is my usual choice for candles but this year I have opted for something slightly different. I picked up this divine Pumpkin Pie candle for just £5.99 in TK Maxx. It is so large & will last for ages, the smell is so good…..I could eat it! It is so yummy that I bought another one today, I just couldn’t resist. 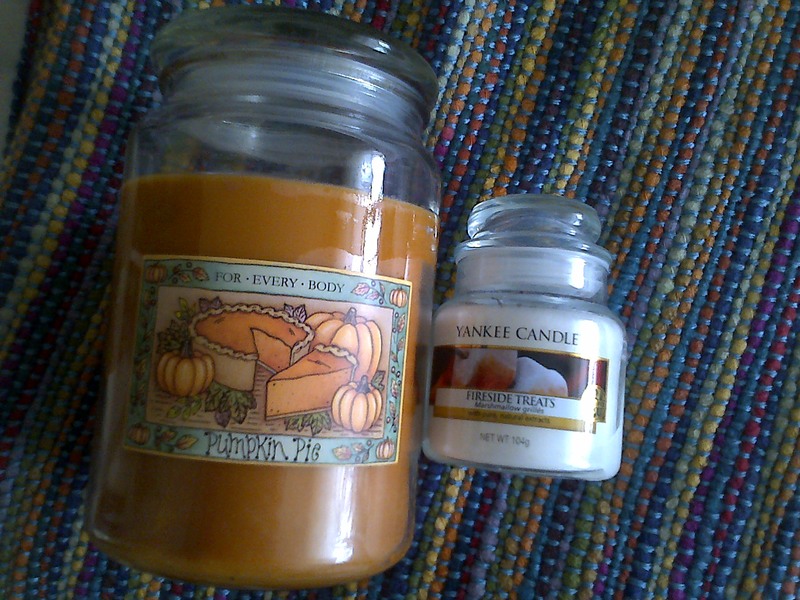 My other purchase was from my favourite candle brand, Yankee Candle. I bought the Fireside Treats which smells of Toasted Marshmallows….delicious! Whilst popping in tor buy another candle I found this cute decoration. 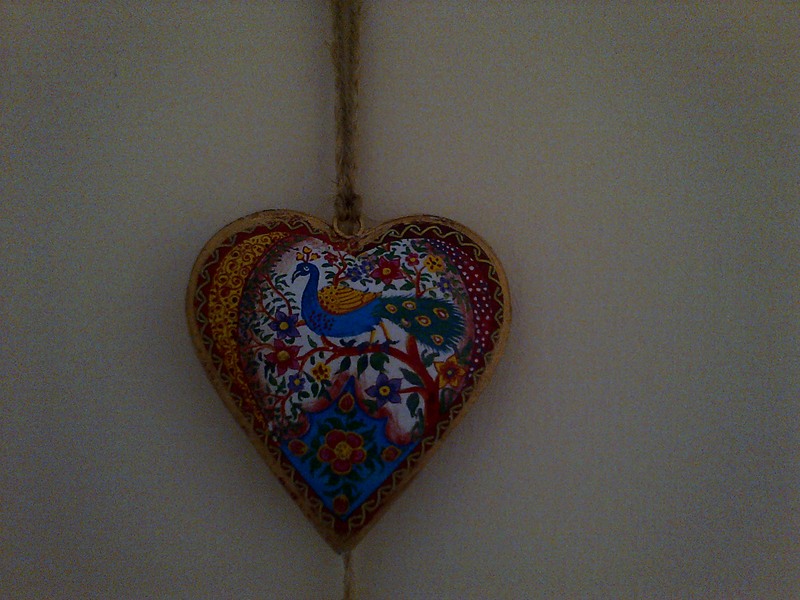 I don’t normally like heart-shaped objects but this was too beautiful to walk away from. Beautifully painted I couldn’t resist the cute design. The other thing about Autumn is the effect it has on my hands. They get very dry & often crack & bleed! Thankfully, Marie Claire are giving away free L’Occitane Hand Creams with November’s issue. I was so excited when I found them sitting on the shelf especially because they are from the new collection. 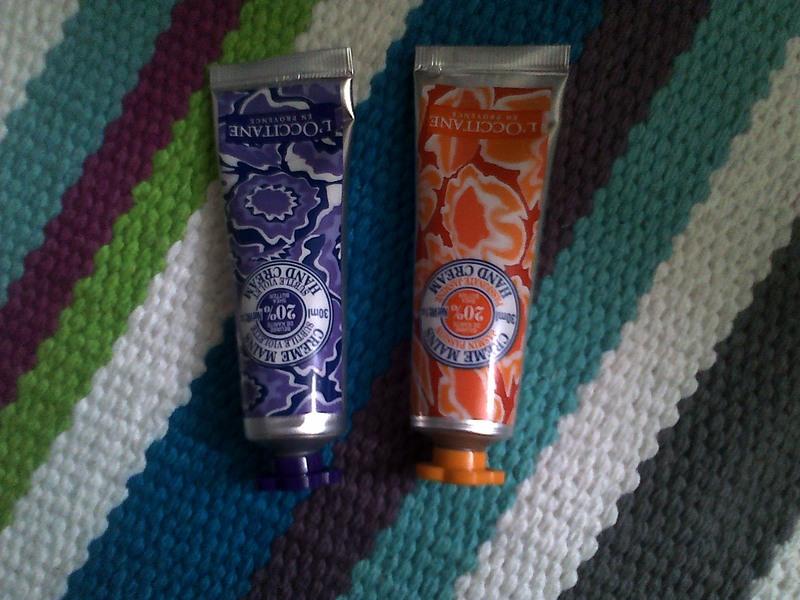 I picked Subtle Violet & Jasmine Passion. They are wonderful, Subtle Violet is my new favourite! Have you been treating yourself to anything lately?